A week ago, the IPKat reported a fascinating judgment of the Court of Milan concerning the infringement of Audrey Hepburn's publicity right by the Italian company Caleffi. As explained, the Court of Milan admitted Audrey Hepburn's heirs' claim that Caleffi pay compensatory damages and restore moral prejudice for having deployed Audrey Hepburn's image in Breakfast at Tiffany's on postcards and brochures, without authorisation, within the contest called “il diamante dei sogni” (the diamond of dreams). This advertising material featured on Caleffi's website and as part of an advertising insert of a well-known Italian magazine. In particular, Audrey Hepburn's heirs argued that her right of publicity was infringed under Article 96 of the Italian Copyright Law and Article 10 of the Italian Civil Code. The first provision establishes that a person's portrait cannot be displayed, reproduced or put in the market without the person's consent – or the heir's consent – unless the requirements of Article 97 are met: among others, the celebrity status of the person justifies the lack of consent when the image's reproduction refers to facts, events, ceremonies of public interest and when the reproduction of the image took place in public circumstances. In any event, the portrayal's display and commercialisation are forbidden when they hinder the reputation, the honour and the dignity of the person concerned. Likewise, Article 10 of the Italian Civil Code grants physical persons the right to ask for the cessation of the unlawful display or publication of their portrayal and for compensation in the form of damages, when such uses occurred outside the cases provided by the law or when the person's dignity and reputation are impaired. The Court of Milan first held that Article 96 and 97 of the Copyright Law could not resolve the dispute in that the alleged breach did not encompass Audrey Hepburn's real image. The Court then applied Article 10 of the Italian Civil Code, as the present case entailed the rearrangement of the famous window-shopping scene in Breakfast at Tiffany's where Holly (alias Audrey Hepburn) was looking at Tiffany's showcase. The photographer of the advertisement depicted, partially from behind, a model in a black dress, with lookalike Holly hairstyle, with black gloves and sparkling jewellery while posing in front of a shop showcase. All these circumstances were enough for the Court to find that there had been an undue association between the photography's narrative subject matter and Audrey Hepburn's image, although that image only evoked her ‘Holly’ character. In allowing the claim, the Court of Milan applied old settled case law dating back to 1984, 1992 and 1997, which had extended the physical person's right to portrayal to elements not directly connected to that person such as clothing, decoration, make-up. The Court however considered that the Hepburn/Holly persona was a public person in the audience's perception, this being an evocative reference which required a request for consent to use the person's image. From a legal and photographic point of view, I am not completely sure that the Court of Milan got it right in this case in that, when I first read the judgment, I immediately wondered whether the judges had confused Audrey Hepburn's and Holly's images, despite how much the public may hold the actress performance in Breakfast at Tiffany's in high esteem. As regards the legal perspective, the Holly character originated from Truman Capote's creativity and it was later envisaged and adapted in an audiovisual work under Blake Edward's direction. Within the cinematographic conception of Holly a considerable degree of recognition should be accorded to Mr Hubert de Givenchy, the fashion designer who shaped Audrey Hepburn's image in and out of movie sets. 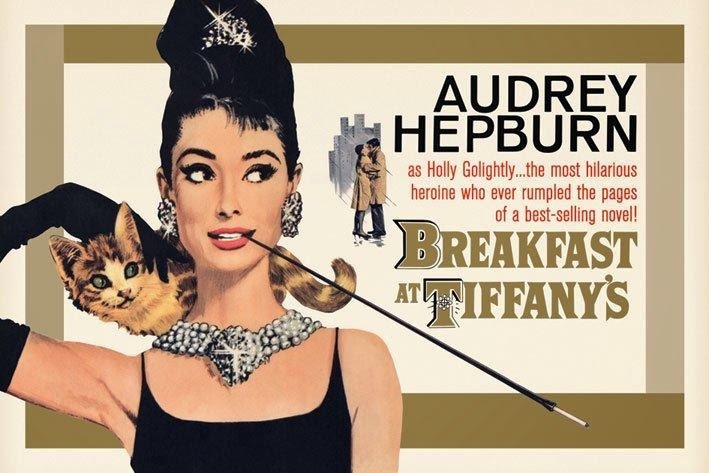 Overall, Holly's features derive from the commitment of all these great professionals in the realisation of the Breakfast at Tiffany's masterpiece, produced by Jurow-Shepherd. That said, it would have been different if Audrey Hepburn's image had been used in Caleffi's advertisement, as happened in Ryanair's campaign in which one of Charles Prince of Wales' photographs had been used without authorisation to sponsor the suitability of its air fares. In its decision of 3 March 2004 the Advertising Standard Authority censured the advertisement in that it infringed the Prince's right to privacy because the Royal Family's permission to use the photograph had not been requested according to Article 13 of the Code of Advertising Practice. 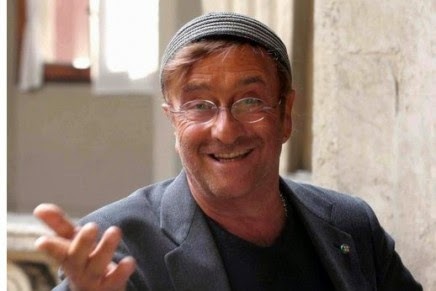 The Audrey Hepburn case was also different from that involving the legendary Italian songwriter Lucio Dalla, to which the Court of Milan referred. In Dalla the advertiser had used elements which delineated Dalla (left) by reference to symbols that typified him, namely a knitted hat skullcap and a pair of metal-framed spectacles. However, those features belonged to Dalla as a physical person who had also a public recognition and fame. In the Audrey Hepburn dispute, should there be any infringement of a right to the portrayal of Holly? Who is the holder of Holly character's image? Is there any right of portrayal available for fictional characters? Eventually, these questions could be answered by reference to the Italian Copyright Law, in particular to Article 46ff concerning copyright and related rights in cinematographic works. In relation to photography, there are a couple of consideration to highlight. First, it could be argued that the photographer's work in Caleffi's advertisement was an original photography and a piece of art on its own, since its suggestive subject matter did not conclusively deprive the image of copyright protection, the author's own creation could be found in the form of a minimum of reinterpretation of the window-shopping scene. I have found the case-law on which the Court of Milan relied to assess the misuse of Audrey Hepburn's image quite outdated. All in all, I think that the way the people's image should be treated and protected should reflect the conditions of society today and that images should be treated in accordance with the role that society assigns to them. Since the judgments referred to in the present case were given, more than 20 years have passed and our society has evolved into one that recognises the wisdom of communication inspired and managed by images. We are driven to make our choices and to think about everything in terms of images and photographs, without stopping to think about what a photograph actually represents. Photography, advertising photography included, is more than a true and simple reproduction of someone or something: they are now often the means by which a story is told and sometimes they are also works of art on their own, like Elliott Erwitt's photography for example. Based on the facts given to us in this blog posting and the earlier one on the IPKat blog, I agree that the Milan Court's decision is perverse. An individual's 'personality' is surely the physical features, behaviour and mannerisms etc by which they are known and recognised as an individual. 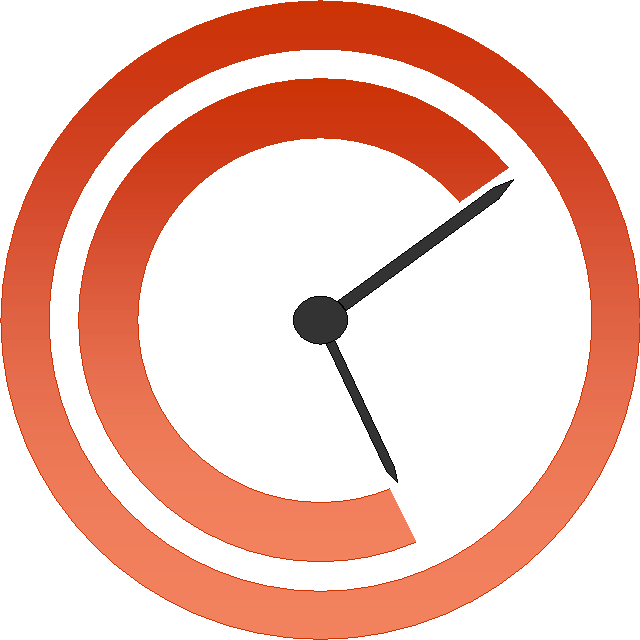 An actor undertaking a role, by definition, seeks to inhabit a different personality, albeit one that may arise out of that artist's imagination, in collaboration with an author and a director. To that extent, the confusion between Holly and Audrey is bizarre. Since no photograph of the Miss Hepburn was used, there is absolutely no part of Miss Hepburn's personality present in the Caleffi advert. If one assumes that the US case of Cindy Lee Garcia was good law (which I don't) then conceivably Miss Hepburn's performance as Holly Golightly was worthy of copyright protection, but again that right was not infringed here because articles of costume are not a creative part of an actor's performance, since they will generally have been created and provided by a designer or costume department. The actor may use such things clothing and props to assist them in rendering a character, but to claim that this somehow imbues the said costume with any copyrightable features, is much like an artist claiming copyright in his brushes. Litigants (or more likely inventive lawyers) who test the courts with cases such as this one, the Garcia case already referred to and the Sherlock Holmes case just to mention three recent ones, are attempting to distort the balance between the need to protect the creativity of an author and society's right to be enriched by the stimulation of further creativity in others. I don’t agree at all with the above comments. The judgment of the Court of Milan is blameless because has correctly understood the meaning of the italian law as for the protection of a person’s portrait as a right. As said in the first comment Article 96 of the Italian Copyright Law and Article 10 of the Italian Civil Code establish that a person's portrait cannot be displayed, reproduced or put in the market without the person's consent, or the heir's consent. In the past (i.e. Dalla’s case) the italian Court has acknowledged that even the single elements that in the audience’s perception represent and evoke a famous person must be protected as its portrait. That’s the reason why in Caleffi’s case the use of a lookalike, dressed and posed as in one of the most famous image from Breakfast at Tiffany’s, was considered like the original Audrey Hepburn’s image. Therefore, worthless are the above considerations on the differences between the person of Audrey Hepburn and her character Holly. Caleffi has not commercially used or recall the character but has only used,without the consent of her heirs, the portrait of Audrey Hepburn. To prevailthe character on the person wouldexclude anyright ofpublicity andany protection of the person and of its portrait.